Alpha Omega Academy encourages growth and development through participation in academic extra-curricular activities such as Math Olympics, Speech Meet, Spelling Bee, Rotary Youth Leadership and more. One of the goals that we strive to accomplish here at Alpha Omega Academy is the building of Christian community. This means growing closer together as we grow closer to Christ. In an effort to promote the Christian community and build tradition and a healthy pride in the school. Borrowing from other classical schools and the English boarding school system, the Alpha Omega Academy House System as put in place. AOA trains students to be ethical servant-leaders and wise thinkers who will shape culture for the glory of God. 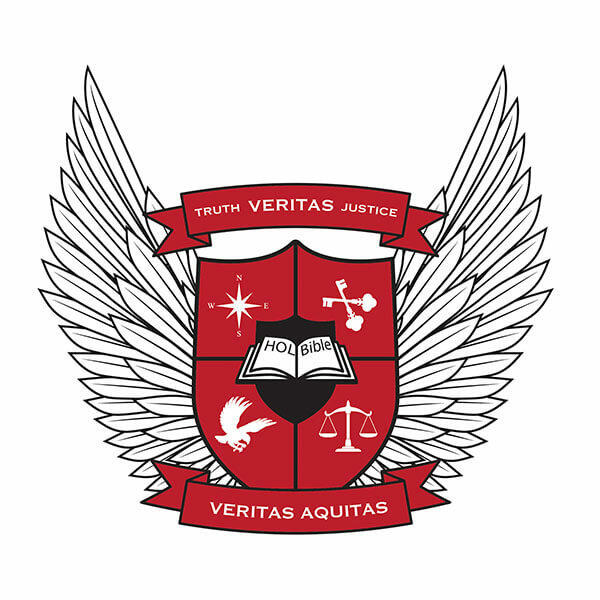 The House System is one of the practical ways the school’s mission statement is put into daily use. Reminiscent of traditional British schools, all Alpha Omega Academy students grades 9-12 are divided into Houses. Aside from the natural fun that comes along with such a system, the house system affords additional opportunities for relationships across grade levels, leadership, friendly competition, service, faculty involvement with students, positive peer pressure and mentorship. 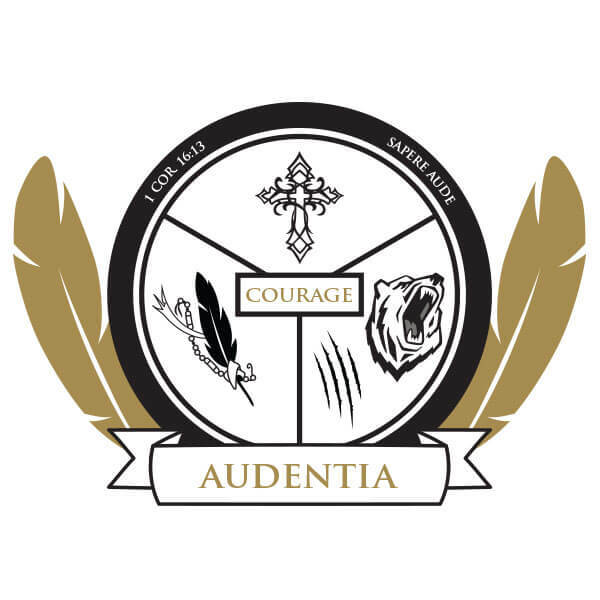 Audentia is the Latin word for Courage/Boldness. We are the voice and hand that gives our house “courage” to live a life that emulates Jesus. 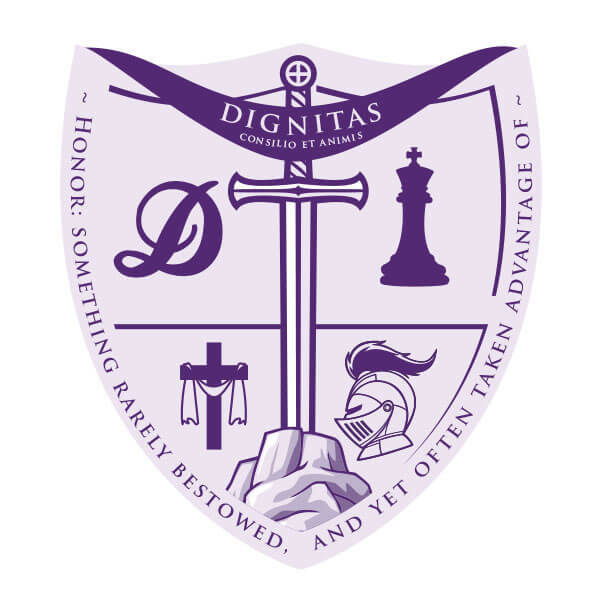 Dignitas is the Latin word for Honor. 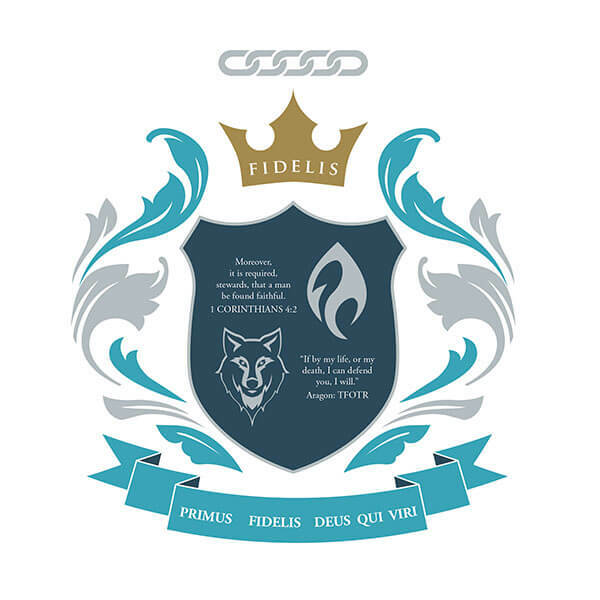 Fidelis is the Latin word for Loyalty. Veritas is the Latin word for Truth. For students, once a member of a house, always a member of that house. Incoming 9th graders discover their house affiliation at the high school lock-in at the beginning of the school year during a House Placement Ceremony to be designed by the House leaders. Houses will meet regularly (each decides on its own schedule) and are responsible for various things including service projects. Competition Between the Houses: Of course, much of the impetus behind the system is ongoing friendly competition. Houses earn points towards the “House of the Quarter” honor and will receive a reward. At the end of each year, one house will win the “House Cup,” and the House will receive the reward of a trip to Six Flags over Texas.